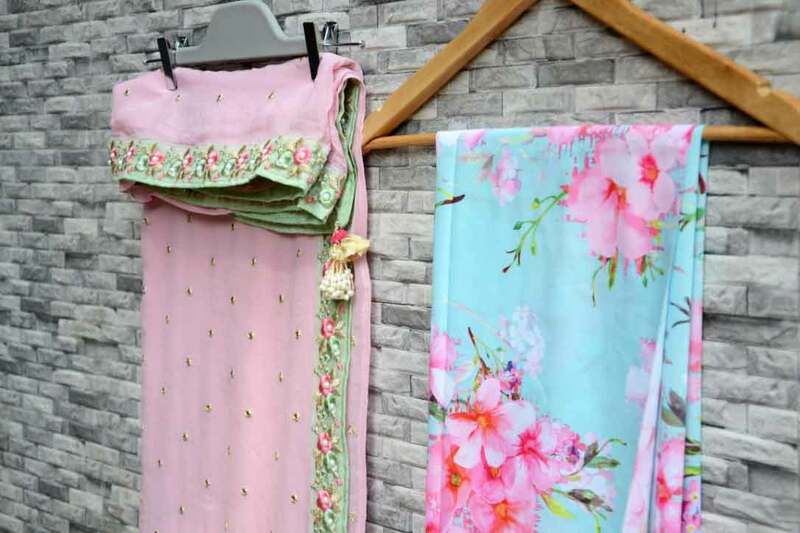 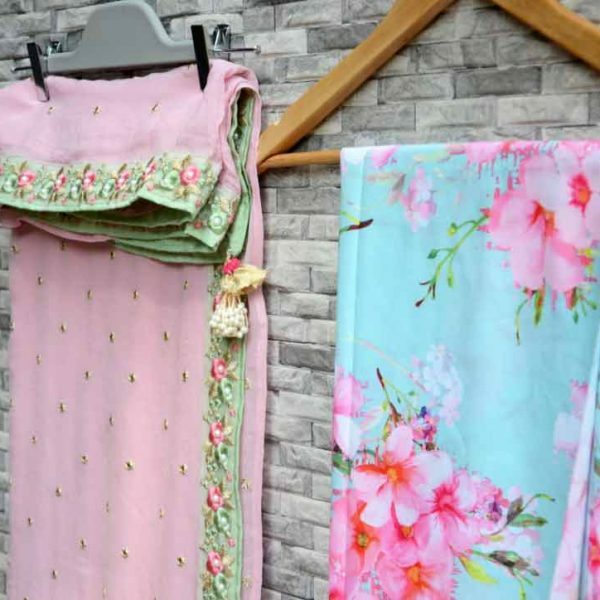 A beautiful soft pink sari with all over mirror work. 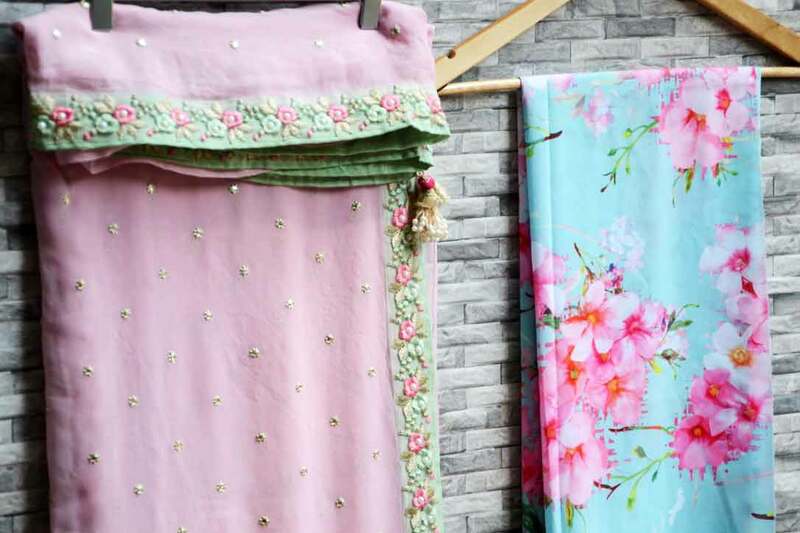 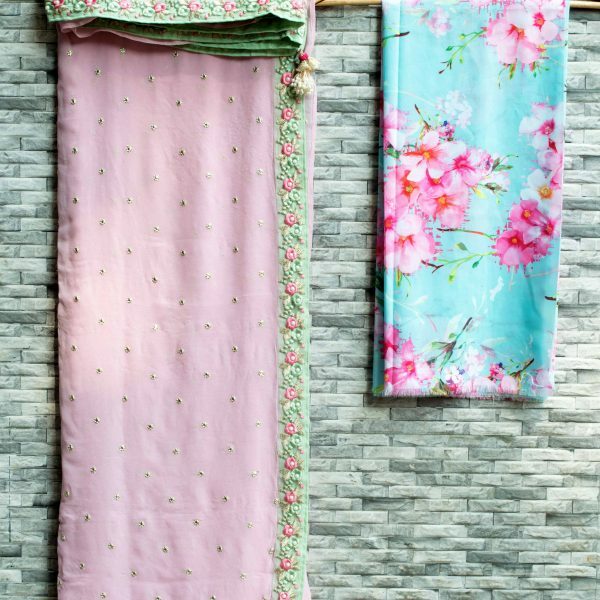 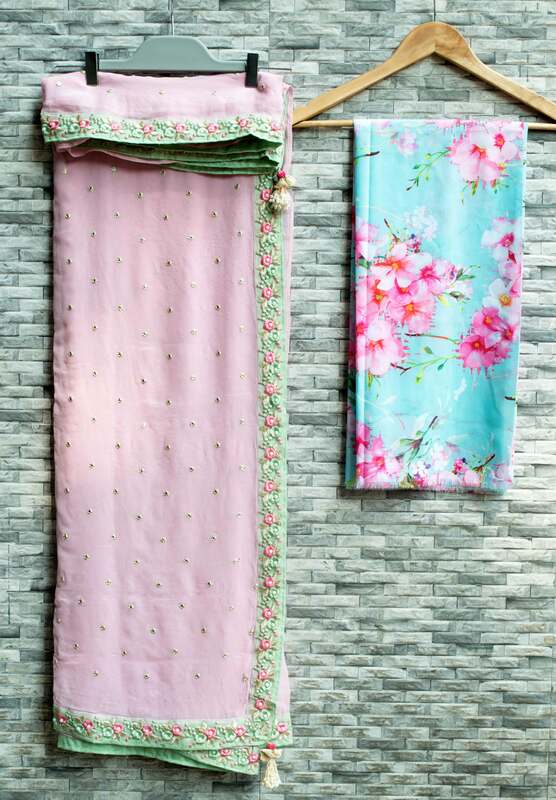 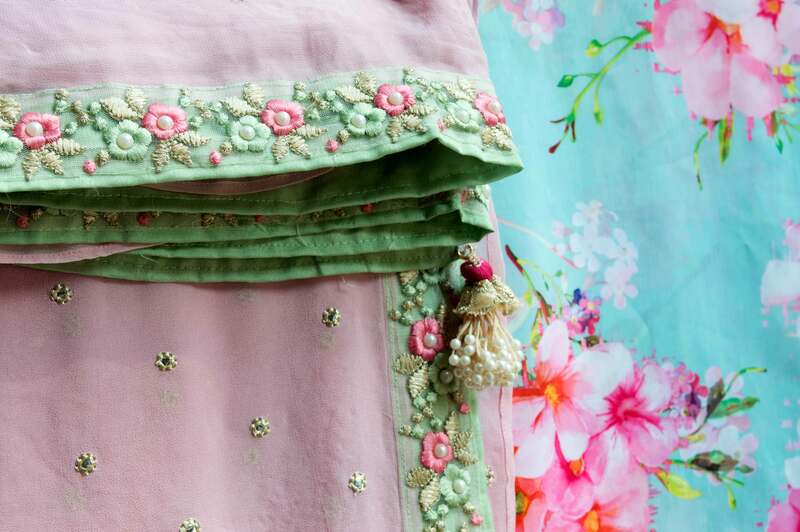 Green and pink thread work border with pearl detailing. 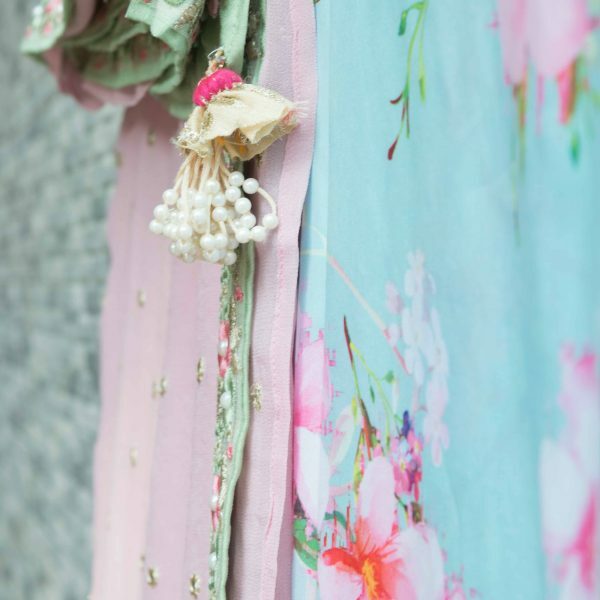 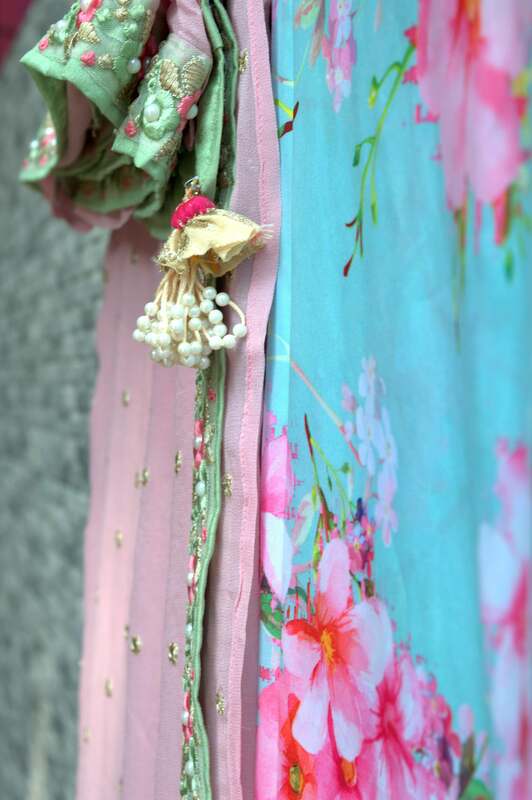 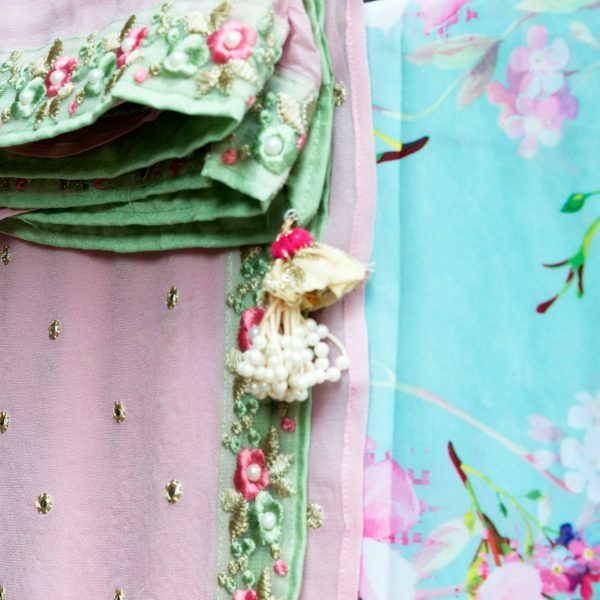 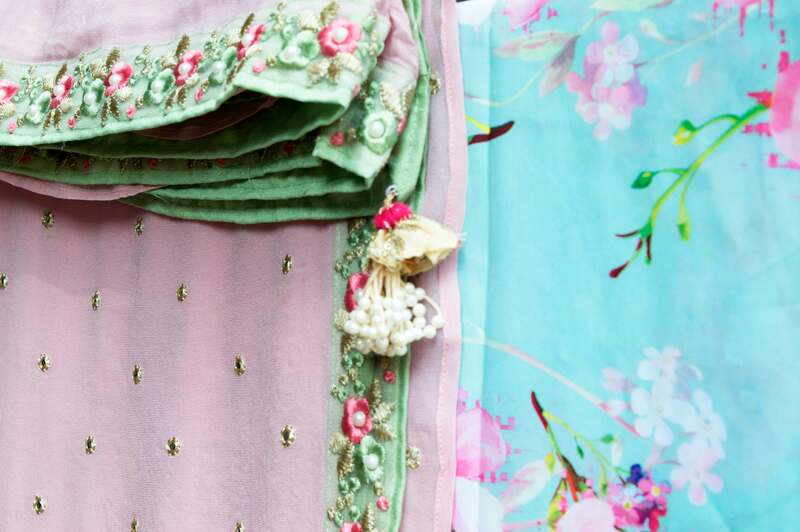 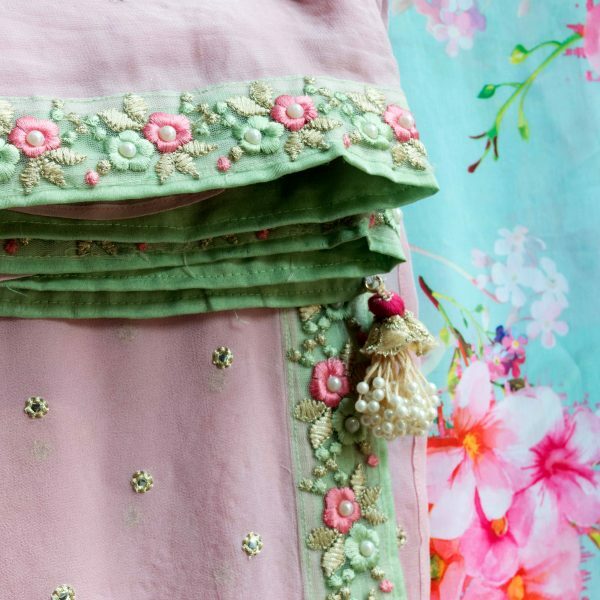 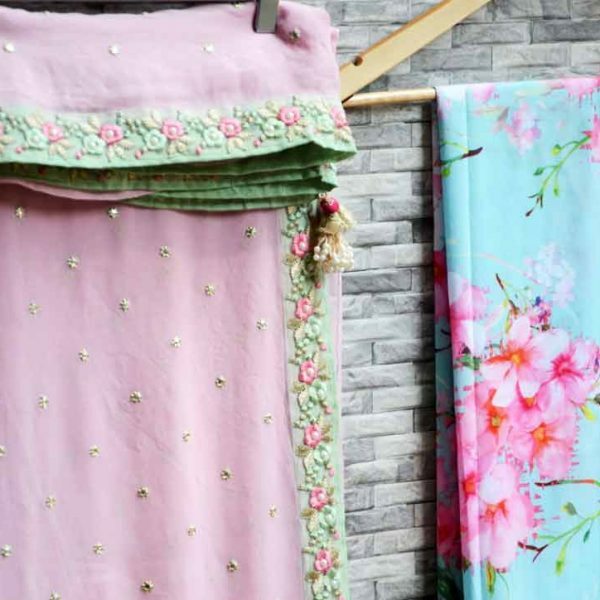 The sari comes with a matching satin petticoat and a floral print blouse piece.